Almost 25% of spam emails advertise medication. With an estimated 15 billion spam messages being sent every day, illegitimate online pharmacies reach a large audience. Counterfeit medicines are offered online to circumvent the laws in place to protect patients from dangerous substances and inappropriate treatments. The dangers associated with purchasing prescription and non-prescription treatments online are numerous. According to a recent study conducted by Pfizer in conjunction with the MHRA, weight loss pills obtained from spam pharmacies were found to contain banned substances in several cases, putting consumers at risk of dangerous side effects. As counterfeit medication does not undergo licensing or any quality checks, it is impossible to know what it may contain. A counterfeit erectile dysfunction product sold as the PDE-5 inhibitor tadalafil (also known as Cialis) for example caused numerous cases of hypoglycaemia in patients in Singapore, who had bought the tablets online. The fake Cialis was found to contain a drug commonly used to treat diabetes. It caused several men to be hospitalized and even resulted in four deaths. The research project by Pfizer also found that few counterfeit medications contained the correct dose of the active ingredient. In many cases, the medication only contained a very small amount of the active ingredient, rendering the tablets ineffective. In some cases, however, the dosage exceeded the recommended dose, with potentially dangerous consequences. The medicines sent out by spam pharmacies are also often poorly packaged – in some cases they may just be wrapped in newspaper – raising concerns over hygiene. They rarely contain the legally required patient information leaflet, which lists all side effects and advice on how to take the medication. Many of the medications offered are prescription-only medications, which should not be taken without a doctor’s consultation and prescription. Two of the most commonly bought counterfeit medications are treatments for erectile dysfunction, such as Cialis, and weight loss pills. Patients are too embarrassed to visit their local GP to discuss sensitive issues such as impotence and turn to spam pharmacies for help instead. In Europe alone, 2.5 million men are estimated to take counterfeit erectile dysfunction medication – roughly the same number of men use safe, licensed impotence treatments. Health concerns are not the only problem with using a spam pharmacy. Spam pharmacies never provide a real address or contact. Not only can they not be held accountable for the effect their medications have on unwitting patients but they have also been found to clone credit card details and install viruses on the customer’s computer in some cases. This doesn’t mean that you cannot buy licensed medication online – you just need to check the credentials of the online pharmacy you are using very carefully. The most important rule is not to buy prescription medication from an online pharmacy which does not request a prescription – their service is guaranteed to be fraudulent. If you do not have a prescription, a licensed online doctor service can be a safe alternative, allowing you to have an online consultation. 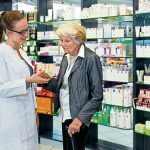 If you are unsure, you should check whether the online doctor or pharmacy provides customer service over the phone – spam pharmacies do not tend to. Finally, if you are in doubt over the legitimacy of an online health service you can check whether it is registered with the appropriate authorities. All pharmacies have to be registered with the Care Quality Commission and the General Pharmaceutical Council – watch out for their green internet pharmacy logo which indicates registration. All online doctors have to be registered with the General Medical Council, you can check each doctor’s registration on the GMC website.